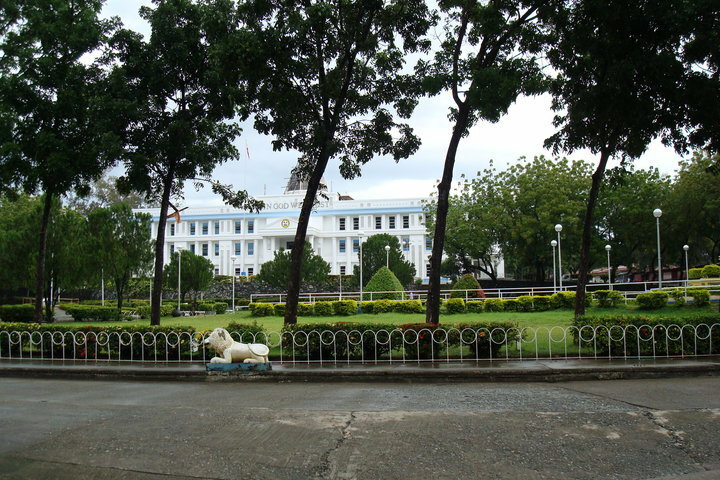 The Provincial Capitol Building of Davao Oriental, popularly called "The White House," is a three-storey building located at the Capitol Hills in Barangay Central in the City of Mati. It is the seat of political power in the province and it houses the different offices of the provincial government and its agencies. It features a park, a children's playground, basketball and tennis courts. This imposing white structure sits on a hectare of land on top of Capitol Hills, overlooking the scenic Pujada Bay, and is said to be one of the most beautiful capitol buildings in Mindanao. Its construction began during the term of former Governor Ma. Elena Palma Gil and was completed under the current Governor Corazon Malanyaon. Both governors came from Cateel. 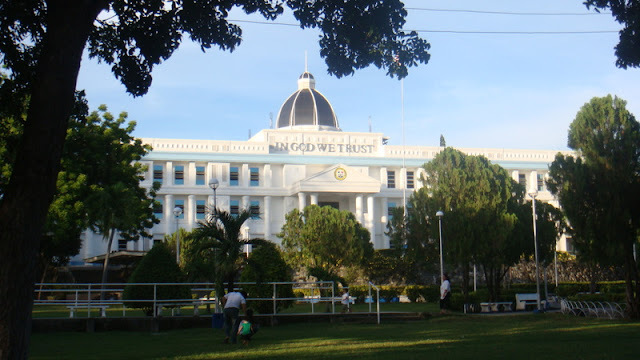 One should not miss this beautifully designed Provincial Capitol Building of Davao Oriental when visiting the City of Mati. This famous landmark is an attraction in itself to behold. 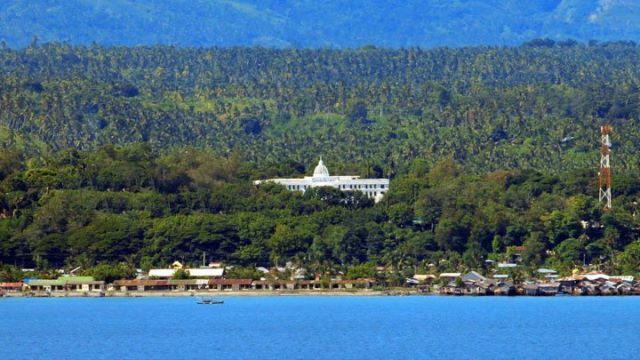 Mati can be reached by taking any of the daily scheduled airline flights from Manila to Davao City, or via a regularly scheduled inter-island vessels that ply the Manila-Davao City routes. From Davao City, the easiest way to get to Mati is through the Madaum diversion road which is shorter than the Davao-Tagum Highway via private transportation or overland bus ride bound for Mati, approximately 165 kilometers, or about 4 hours drive from the Davao Ecoland Bus Transport Terminal in Davao City.